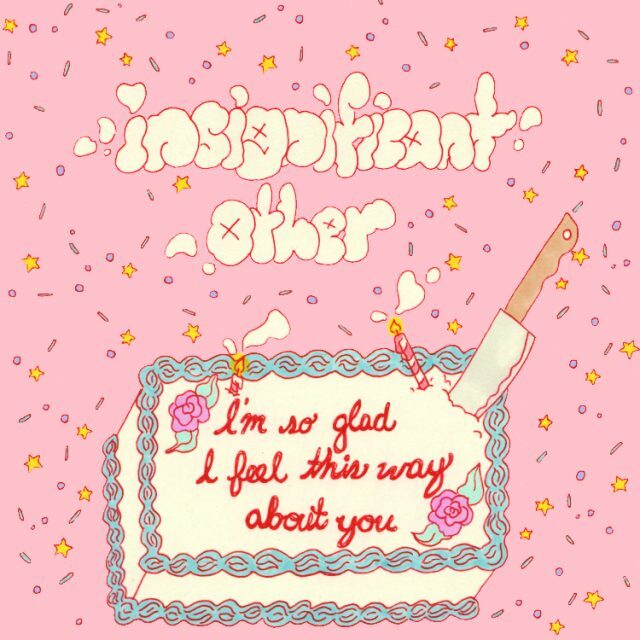 Insignificant Other has been around for a bit — leader Sim Morales has been uploading quiet and contemplative demos to Bandcamp, primarily played on ukulele, since 2014 — but the band, which has roots in Gainesville but is now based out of Alabama, is only now gearing up to release their debut album, I’m So Glad I Feel This Way About You. The good news is that the whole thing comes out tomorrow, so it’s not too much of a tease to let you know that it’s a confident introduction to the band, filled with searing hooks and a whole lot of earnest energy. The first track they’re sharing from the album doubles as its title track. It was originally shared in demo form last year, but with the backing of a full band, Morales really lets their voice go off. It’s a song about letting go of bitterness and allowing yourself to be happy for someone that you’re no longer that close to, and its addresses to its subject — “‘I hope you found someone to love you, whether that’s someone else in this world, or you/ I hope someone thinks you’re as beautiful as I do! '” — are rousing and catchy, a reminder that sometimes the best feeling in the world can be wishing someone the best before cutting them out of your life for good. I’m So Glad I Feel This Way About You is out tomorrow (4/17) via Counter Intuitive Records. Pre-order it on vinyl here.